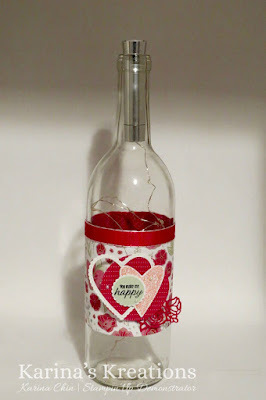 What do you think of my Valentine's Day themed fairy lights bottle? Isn't it pretty? I used the All My Love Product Suite to make this project. The suite includes the Forever Lovely stamp set, All My Love Designer Series Paper and All my Love Ribbon Combo Pack. 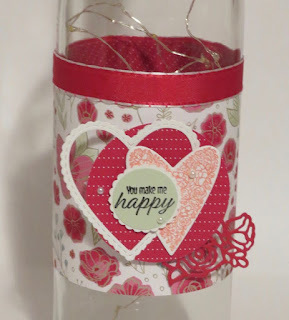 I also used the Meant to be stamp set and Be Mine Stitched Fraemlit Dies. Here's the supply list if you wanted to place an order. Just click on a picture to go to my online store.